Time frame: Create releases, sprints, and milestones. 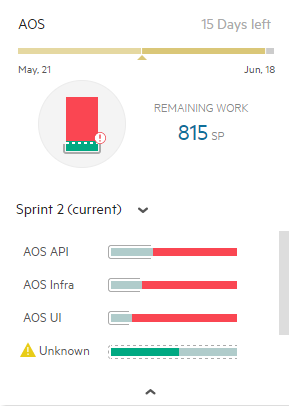 Workforce: Create teams, assign their members, assign teams to releases, and specify their capacity per sprint. Workflow: Each type of item is assigned specific phases, and an order to follow when advancing through those phases. After your workspace is configured, you create the product backlog, prioritize it, assign backlog items, and track the development process. The backlog is made up of epics, features, and stories that describe the work required to complete your project. In addition, you can add tests and defects to the backlog and manage all project assets in one place. For details, see Build the product backlog. Make a plan for implementing the backlog items that you defined for your project. First, decide which features and user stories, quality stories, or defects you plan to implement in a release. Then, assign each item to a specific sprint and team. Use planning buckets in the Backlog module to set up your plan, and make sure you do not exceed the available capacity. 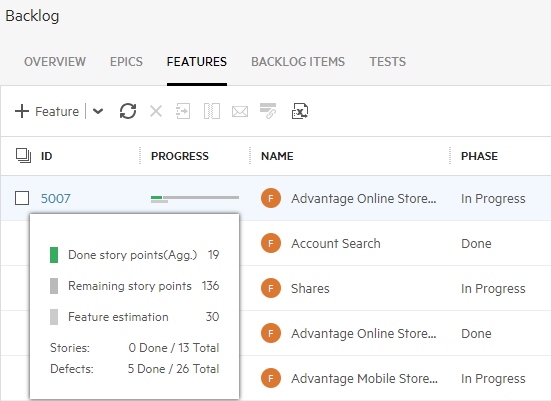 Before a release begins, assign features and user stories to your release. Assign features and user stories to specific teams, and assign user stories to sprints. When you are ready to plan your work for a specific sprint, reevaluate the estimated effort you assigned to each backlog item, and assign them to people in your teams. Break your stories into tasks. Estimate the effort needed for each task, and assign them to specific team members. On a per-team and per-sprint basis, assign user stories to specific team members. Note: The Team Backlog provides team member buckets to help you assign stories and tasks and make sure not to exceed the teams' capacity. Use the Task Board to update and follow your task phases. To open the Task Board, select the Board view in the Tasks tab. The Tasks tab is available inside stories, and in the Team Backlog module. For details on these steps, see Plan your release, Manage the team backlog, and Work on your stories. As items are designed and developed, advance the phase of the item. View the Progress column in epic and feature grids. Use chart and graph widgets in the backlog Overview tab. View widgets in the Dashboard module. Select from the predefined widgets offered by ALM Octane, or create your own. Configure the widgets to filter the data according to your needs. Track your team's progress in the Team Backlog module.